Young and old come together in Israel Sci-Tech Schools’ Multi-Generation Connection program. In homes and schools, our students and senior citizens meet to learn from one another, build relationships and engage in new experiences that help bridge the generational gap. Together they learn to see beyond the stereotypes they hold for each other and discover the value of each person. 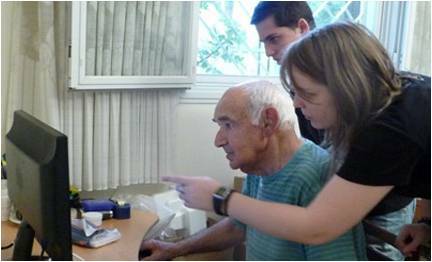 Israel Sci-Tech Schools and the Foundation for the Benefit of Holocaust Victims have teamed up to provide computer training and companionship to Holocaust survivors. Mechubarim means ‘connected’. 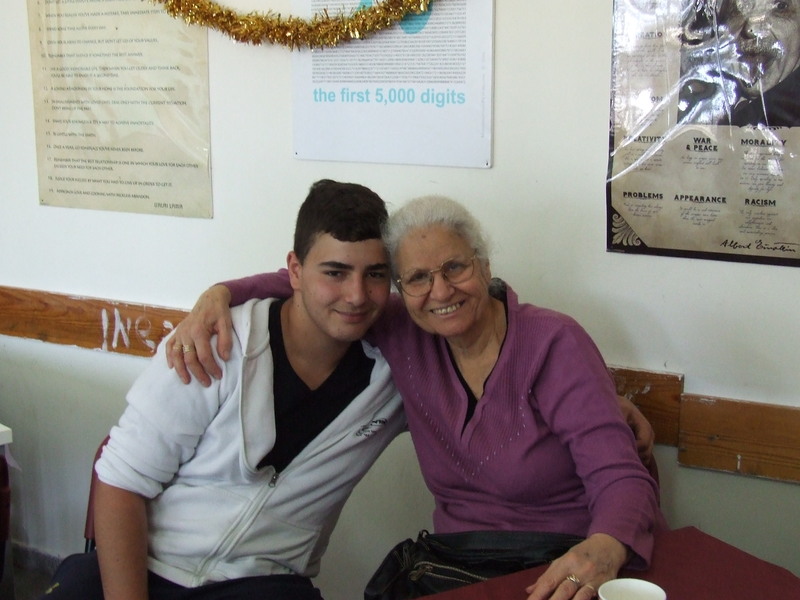 We are connecting generations of Israel Sci-Tech teens and holocaust survivors in many ways. This year over 400 of our students were coupled with over 200 Holocaust survivors visiting their homes up to three times a week. There they teach them computer skills and help them write up their personal histories, which are later uploaded to a special website. These numbers are expected to double in the coming year. The students usually work in pairs, visiting their survivor partners every few days and forming strong relationships with them. ”I am writing my history – I now have 10 pages. And I can read newspapers, play games; I search for my family on the computer. Eldar has helped me a lot.” -Dov Zorni, age 89, Holocaust survivor and ‘connected’ (above).